A little while back I entered the Babyliss Pro Style Awards. These awards give credit to students and professionals on the work they do. Whether it be a great cut, colour or finish. I decided to enter the picture below. I've written about it here. 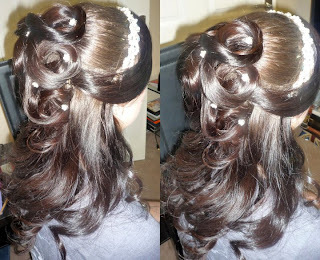 My friend Kristie is a great hair model, and will put up with me pinning, curling, backcombing till I've gotten the style I want. I was really happy with this style I did for a wedding fayre, and thought it looked gorgeous in her hair. What do you think? Well, I won the December heat! :) Which means I'm put forward to the final in August. A judging panel will decide on the best style, and that lucky person will get to assist on the Babyliss Pro stage at Salons International with Patrick Cameron & Chris Foster. I'm keeping my fingers crossed as I would LOVE to be given this opportunity and would work as hard as I could whilst there. 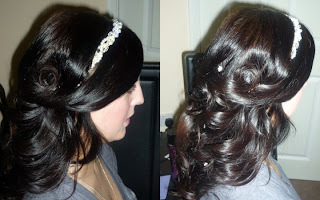 As you've probably guessed I love styling hair up. Whether it be for a wedding, or any special occasion. 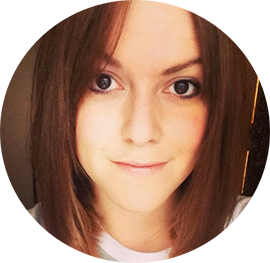 I'm looking at getting some professional shots done to showcase some of my styling, when I do I'd love to share some with you guys, if you don't mind!! 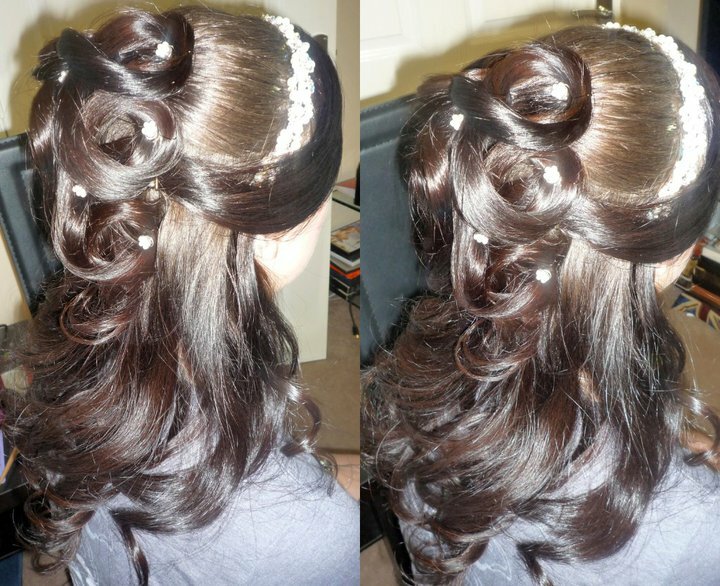 Here are a few more from a wedding trial I did Saturday. don't want to overdo it now do I!! i love, love LOVE up dos. Eeek!! Well done Kel, that's such brilliant news!!! Fingers crossed that you win the overall competition. 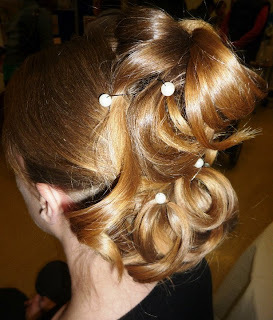 It's a gorgeous up-do and totally deserves to win. Thanks for the mention in the post and congratulations! Well done! 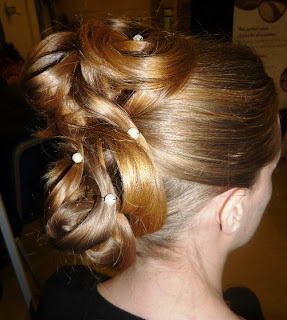 You definately deserve it, your updo's are fab! 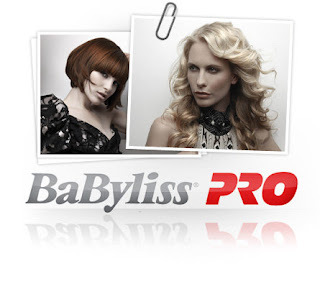 @Babyliss Pro, thanks for taking the time to read and comment on the blog.